this body grew those perfectly chunky legs and those amazing toes. maybe i have something to learn from my belly. 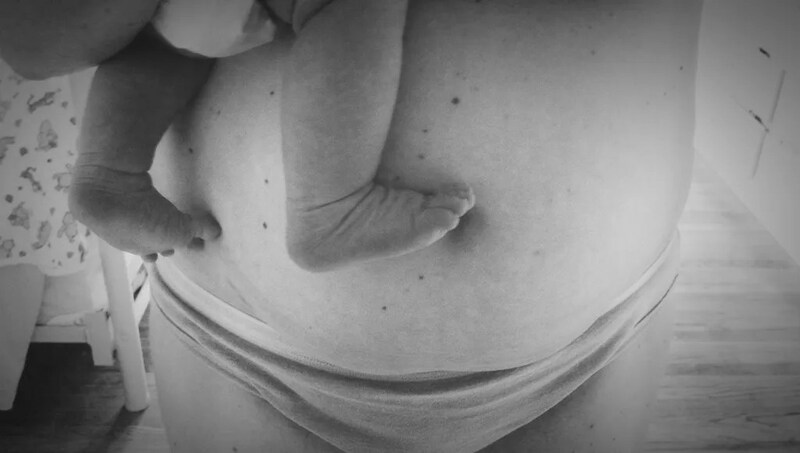 my belly stretched and made room for new life. it gave up some of its vanity and gave itself over to growing something special. it lost some of its youthfulness and passed it on, sacrificing it to a new generation. see, i’ve been feeling stretched and strained in these weeks of fresh motherhood. and i have to remember the things my belly taught me. i’m going to stretch for what seems like a very long time, getting filled up with amazing life, all the while wondering if i can take much more. i’m going to love the stretch and be overwhelmed by it at the same time. and then one day it will be gone. my girls will be gone from my side. by then my whole body may sag at the loss of the life that has passed through me and beyond me. but my belly will remind me that once all that life was contained inside me. and that makes me feel infinite. 2 weeks postpartum. is that all? it seems like daphne has been here forever and always and the days are going by slowly. again, i hope this is a sign that we’re doing this right and taking our time. if we just take a look back a few weeks ago to the difference in this form, i’m just in awe of this transformation as my body slowly slips back to a semblance of its former self. things are still tender and i’m just now feeling like i’m picking up speed. now that things are sifting and settling, i’m really happy i did the bump day posts. i love going back to read over them and seeing the transformation from week to week. my prediction is that not a whole lot will change through this fourth and final trimester. there may not be much more transformation to document. who knows? maybe that’s the point. maybe the point is to put it out there that moving swiftly ahead to any other physical form is just not how this goes for most of us mothers. maybe the transformation i’m capturing is how much more OK i am with that this time around. because, i’m really OK with it this time around. aaand while i’m getting all nostalgic i wanna just throw in a link for this bump day post again because i really, really loved doing that post. 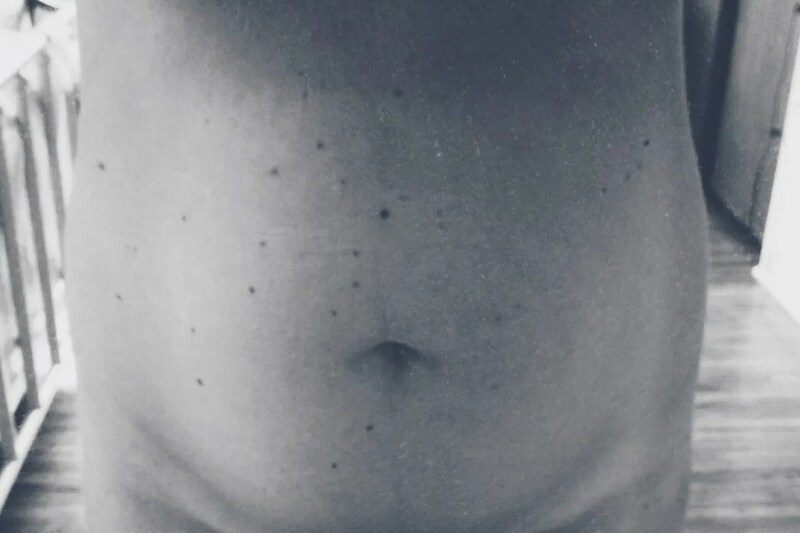 so here we are at a week + 2 post birth and i’m struck by how similar my belly looks to my baby’s. a little bulge of roundness in the center. the only real difference being more freckles on my part and more healing cord on hers. truly, i miss my big belly. i’m in the minority of women that prefers their pregnant form to their non-gestating form. i must remember to gaze on this midsection with fondness for the home it provided for my girls. i can already feel that fondness starting to fade. that’s why i think i need this series to continue through the 4th trimester.